Following up their debut album release of Spaces earlier this summer, Brazilian electronic trio Mixhell is introducing more of their signature sound with this latest release off Boysnoize Records. 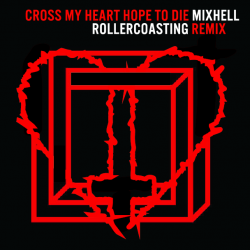 DJ Muggs’ Cross My Heart Hope To Die project recently dropped the dreamy “Rollercoasting,” and Mixhell is offering their tasteful re-imagination of the record. Blending a range of influences from deep house to nu disco, this track’s soothing vocals and on-point percussion will take you on a chillstep-vibe journey that is perfect for the dance floor or a long drive on a cloudy day. Mixhell’s pristine “Rollercoasting” remix is being exclusively premiered through Earmilk and is being offered for free download, so have a listen and grab your copy below!